New Delhi, Nov 29, 2017 : Finance Minister Arun Jaitley, during the inauguration of the Paytm Payments Bank on Tuesday, said the modern technology had changed the entire dynamics the way banking was done in the country. He said with the government’s continuous push towards digitalisation of the economy, the notion of cash being a predominant instrument was changing and that people were switching over to modern and better ways of doing things. He said those who embrace technology would move ahead and those who would fail to accept it would feel isolated. "We all are realising that convenience, security and even proprietary lie in switchover itself. The conventional mind will find it extremely difficult to accept this, but then the whole mass below itself will change and only isolated cases will find them as an exception," said the Finance Minister. He added: "Earlier, we perceived banks to be brick and mortar branches. In fact, my fraternity in politics is still reasonably behind times. I still get representations during Parliament session from my colleagues who only insist on brick and mortar branches to be opened in their constituencies." 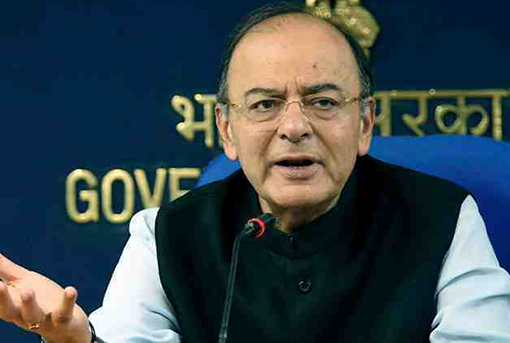 Jaitley said the present government’s focus to formalise the economy through structural reforms and substantial use of technology had set off a chain reaction in financial inclusion. "We had almost reconciled to the fact that the economy would be substantially informal. It’s only on its own strength that it will take decades or maybe, centuries to formalise itself and that no shake-up from the system was required. But several policy initiatives that the government took one after the other have set off a chain reaction that is visible in various ways," he said. "In the last 2 years and the next three years, we would have invested Rs 18,000-20,000 crore. I don’t want to talk about profitability right now because we are still in an investment phase," Paytm founder and CEO Vijay Shekhar Sharma told reporters here. Sharma said its platform processes about 250 crore transactions annually worth of Rs 80,000 crore. "We expect this to grow to Rs 1 lakh crore by the end of the fiscal. The number of merchants on our platform will also touch 60 lakh in a few months," he added. Paytm Payments Bank CEO Renu Satti said, "Paytm Payments Bank is the country’s largest mobile-first, technology-led bank. By virtue of reaching every nook and corner of the country, we will be able to bring the large un-served and under-served population to the mainstream economy. We are committed to offering the most transparent, safe and trusted banking to masses." Paytm on Tuesday officially launched its payments bank operations after a beta launch in May this year. Accounts holders of Paytm Payments Bank will get benefits like zero-fee account -- no minimum balance required -- free IMPS, NEFT, RTGS, UPI transactions and access to over 1 lakh Paytm ATM locations across India. Besides, the company has planned an investment of $500 million in KYC (Know Your Customer) operations. It is setting up KYC centres across India to complete the KYC process for customers and making them eligible for a Payments Bank account. "Paytm Payments Bank is the country’s largest mobile-first, technology-led bank. By virtue of reaching every nook and corner of the country, we will be able to bring the large un-served and under-served population to the mainstream economy," Satti added.